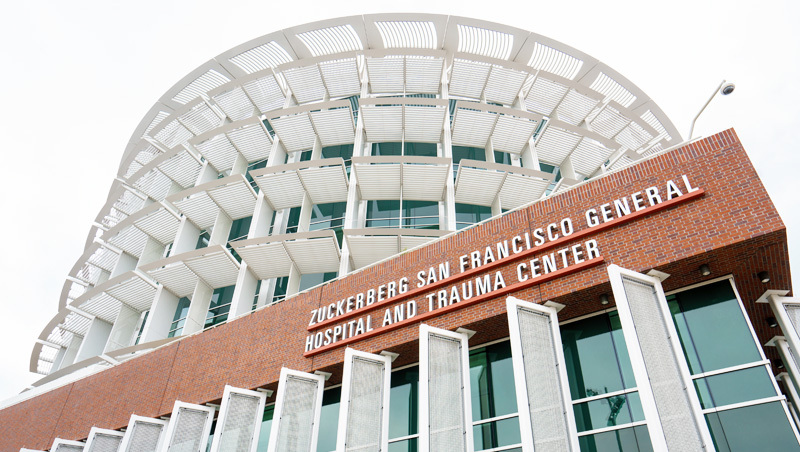 The Priscilla Chan and Mark Zuckerberg San Francisco General Hospital and Trauma Center (ZSFG) and UC San Francisco share a 140-year history of partnership. Through an affiliation agreement with the city and county of San Francisco, UCSF leases or otherwise occupies space in exchange for services. UCSF faculty physicians provide all the medical care at ZSFG. UCSF is building a new research and academic building at the Priscilla Chan and Mark Zuckerberg San Francisco General Hospital and Trauma Center Campus (ZSFG) that is expected to house and consolidate some of the university’s research and teaching activity at ZSFG. The new five-story facility will be at 23rd Street between Vermont and Utah Streets, south of the existing medical building on what is currently a surface parking lot. It is expected to contain a mix of state-of-the-art research, teaching, and administrative space. The university will develop the facility under a long-term ground lease with the City and County of San Francisco. UCSF and the City and County of San Francisco have a long-standing relationship through which UCSF provides physician services and other essential clinical and support services at ZSFG. The research and academic building will help to ensure this relationship continues to benefit San Francisco. Construction of the new UCSF research building is expected to begin in 2019. Negotiations for acquiring the surface parking lot from the City were approved in early 2017. Information for future occupants of the new building is available online, including FAQ, floorplans, detailed updates from the programming committee and more. The UCSF at ZSFG Research and Academic Building Programming Committee has completed their work. Information for the community is available on UCSF's Community and Government Relations' website. View Zuckerberg San Francisco General Hospital and Trauma Center website.